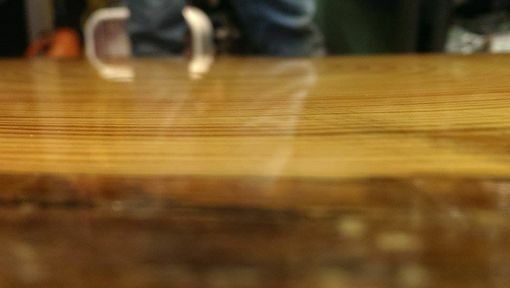 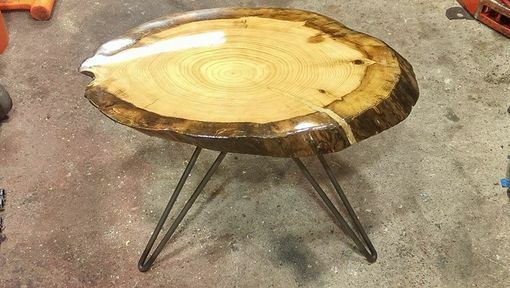 Live Edge End Grain Coffee Table. 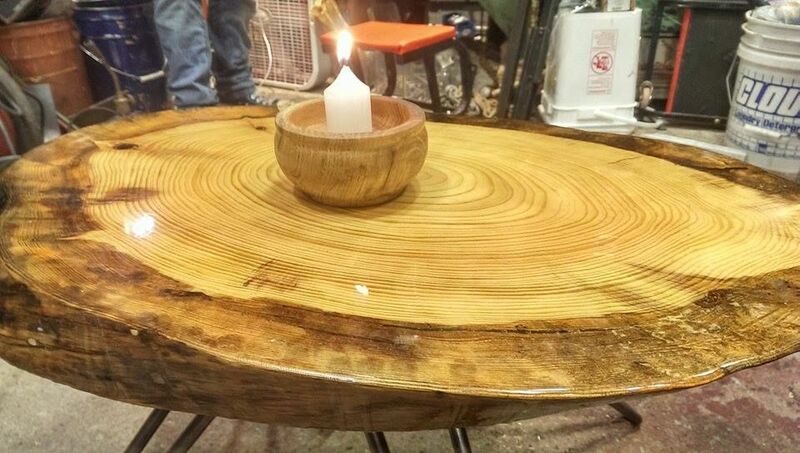 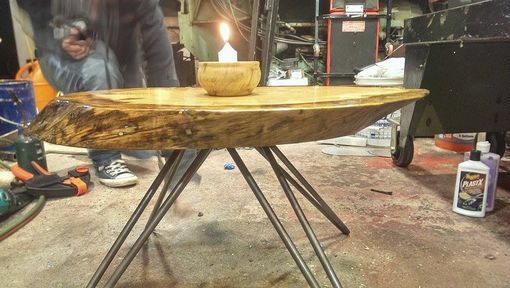 This is a live edge table made from an oval cut piece of pine and steel hairpin legs. 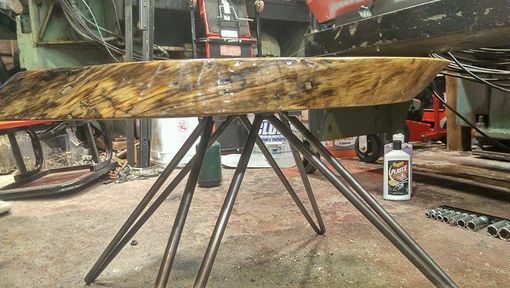 The legs are custom made from solid half inch steel bars. 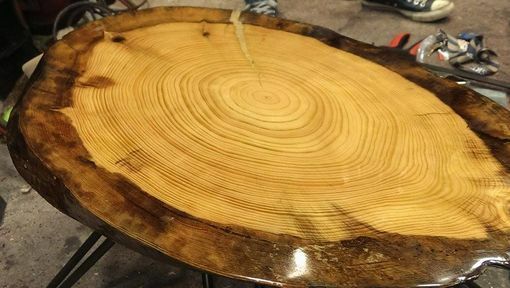 The top is finished with epoxy resin.